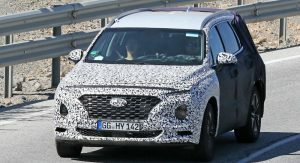 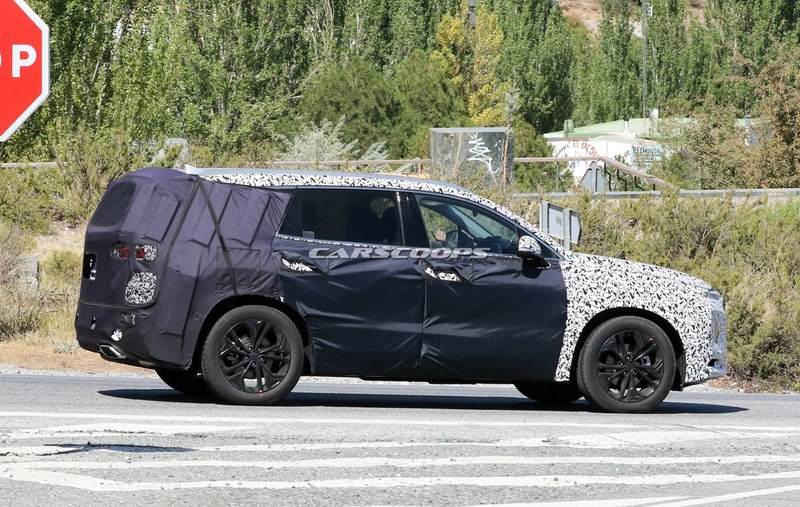 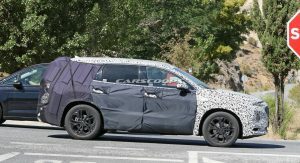 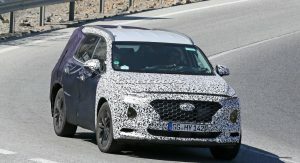 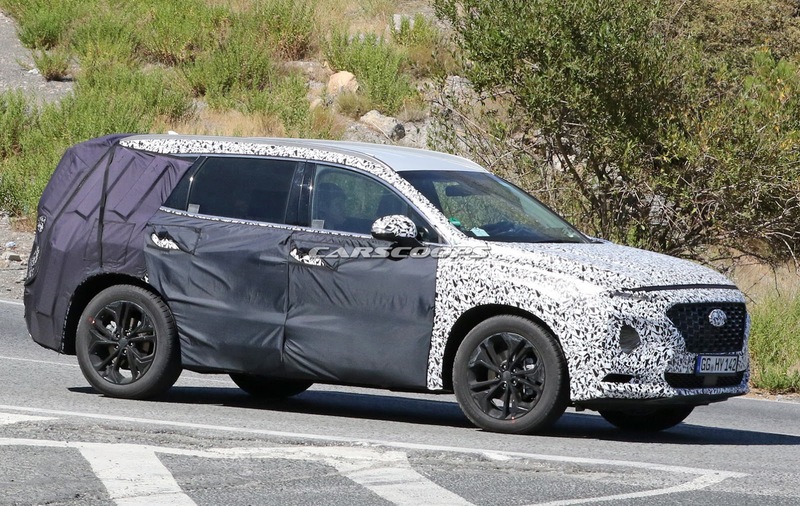 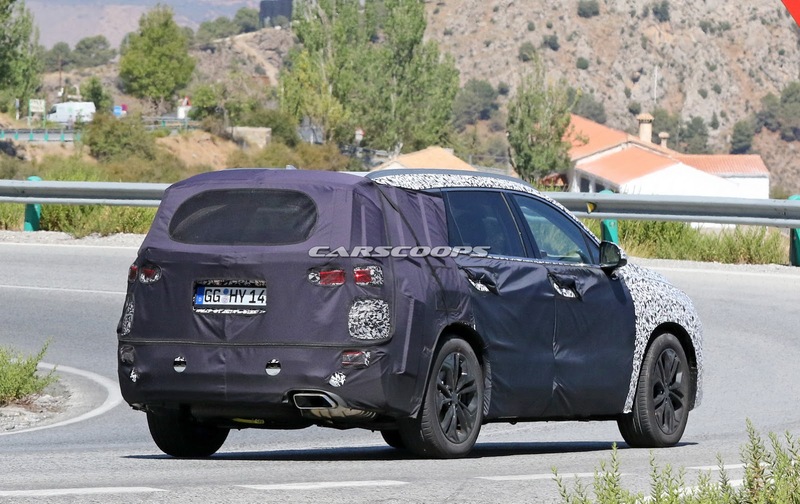 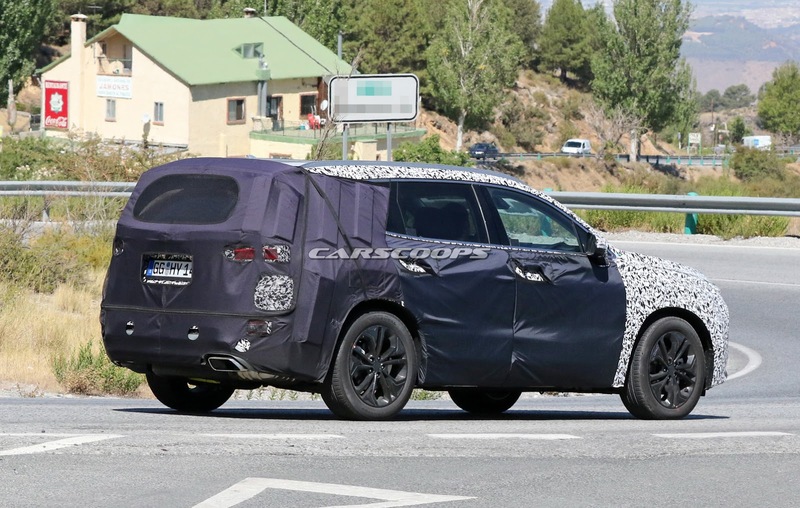 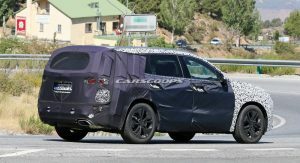 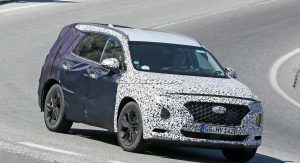 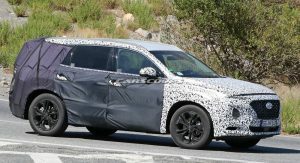 This is by far our best look at Hyundai’s upcoming 2019 Santa Fe SUV, a car that’s expected to feature a more distinctive front end design than the current generation. 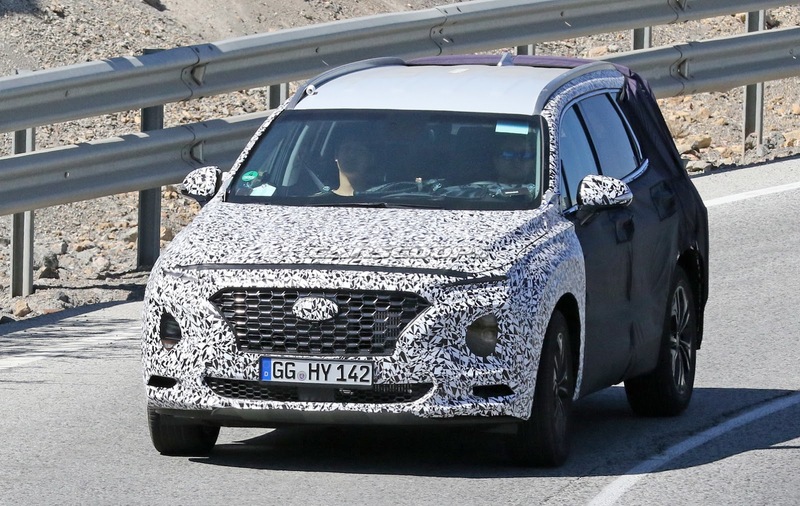 Unlike before, we can now see the shape of the front grille, and the size of the Hyundai logo in relation to it. 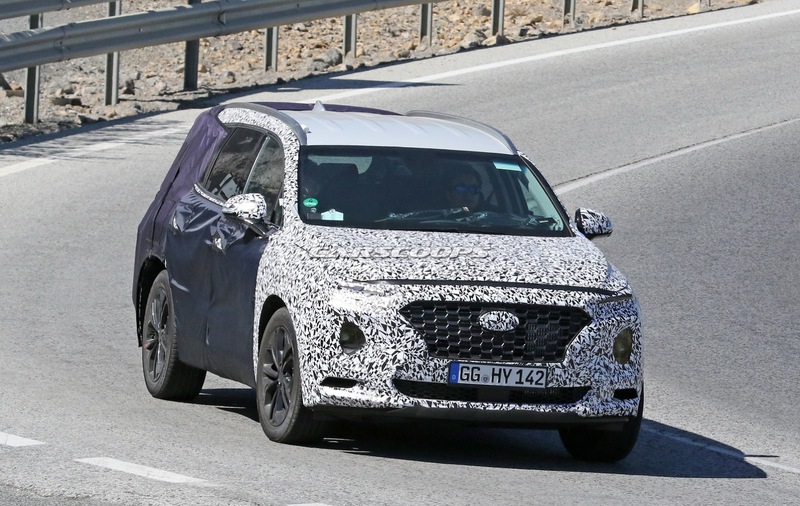 It’s also apparent that the Santa Fe will switch to a dual-headlight design, with a pair of slim LED units on top, and regular lights surrounding the new honeycomb grille. 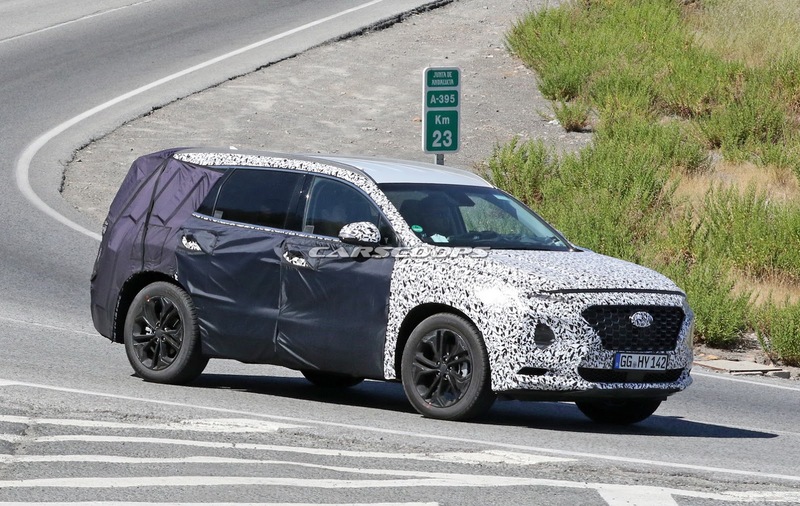 In other words, it should resemble the Kona, which is Hyundai’s Nissan Juke rival, whereas the Santa Fe will of course target larger SUVs, such as the Kia Sorento or Nissan X-Trail. 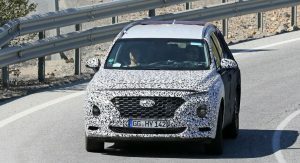 Previous reports indicate that Hyundai will continue to offer the Santa Fe as both a larger seven-seater model, as well as a five-seater Sport version, although the way they’ll be distributed will depend on the market. 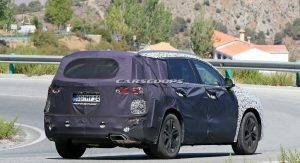 At the same time, entry-level versions will probably continue to be FWD, with AWD systems available as optional extras. 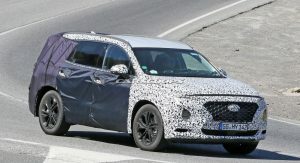 As for powertrains, we should be looking at a range of petrol and diesel engines (diesels in select markets, of course), as well as a possible plug-in hybrid model. 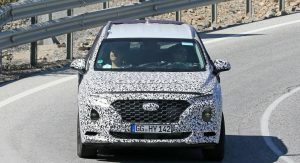 The all-new Hyundai Santa Fe is expected to make its debut sometime towards the end of next year. 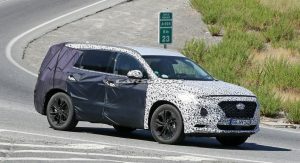 Hyundai designs are getting better every generation. 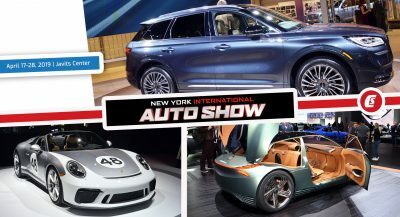 i have to disagree with that. 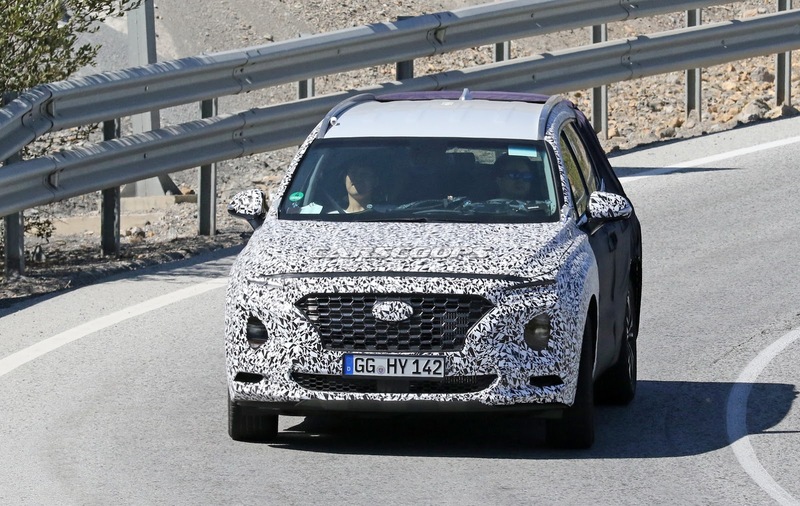 Last generation Sonata was great; now, look at the new, current one: it’s awkward and bland. 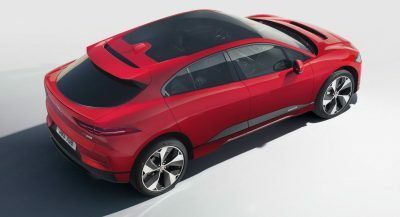 The previous gen was too busy at points; the current one over-corrected that and is too bland. 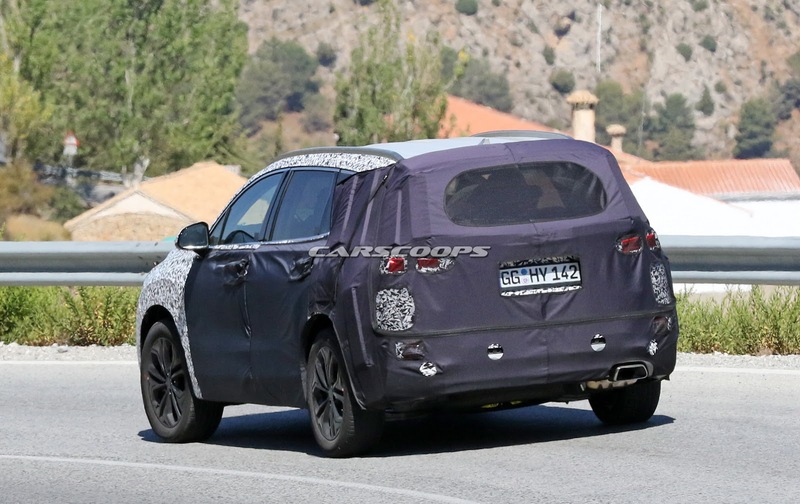 The refresh (which substantially changes the front and rear fascias) is better than both. 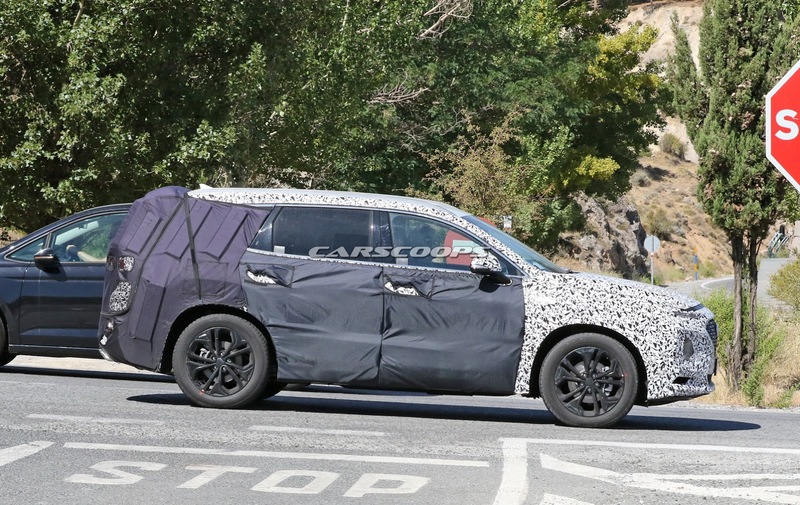 The new corporate grille does not appeal to me at all. 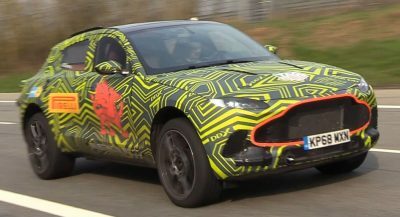 It’s more distinctive, for sure, but that’s not always a good thing. 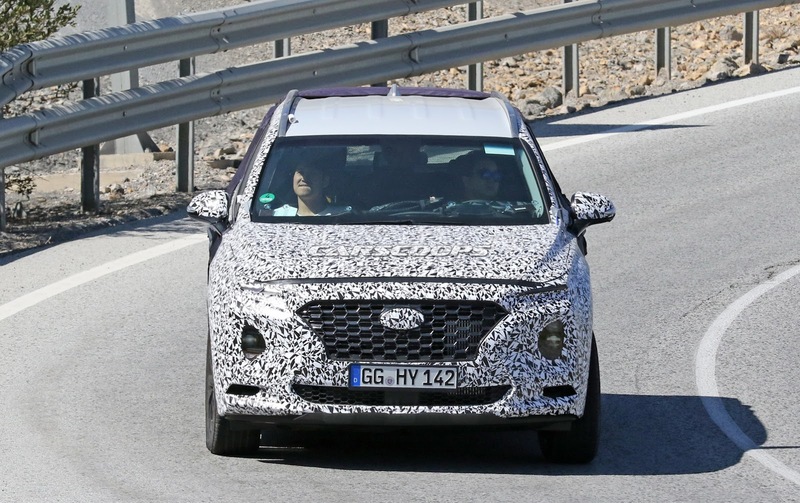 Hyundai did a wonderful job with the grille of the Tucson. 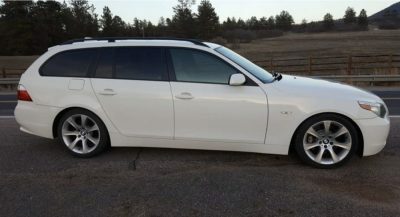 Simple yet elegant. 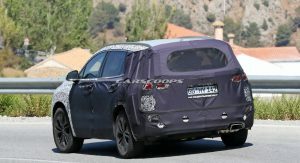 Now they are most assuredly copying the Jeep Cherokee front end with the split lights and busy grille. 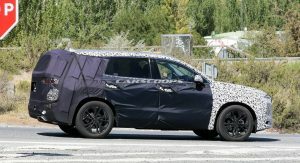 Funny thing is Jeep is abandoning that look on the new Cherokee because of the buying public’s’ disdain for it (among other things). 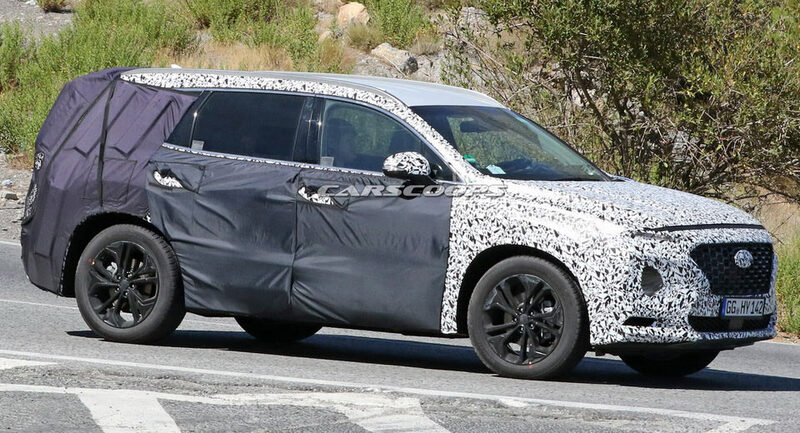 This new Hyundai design language is going to be dated even before its out. 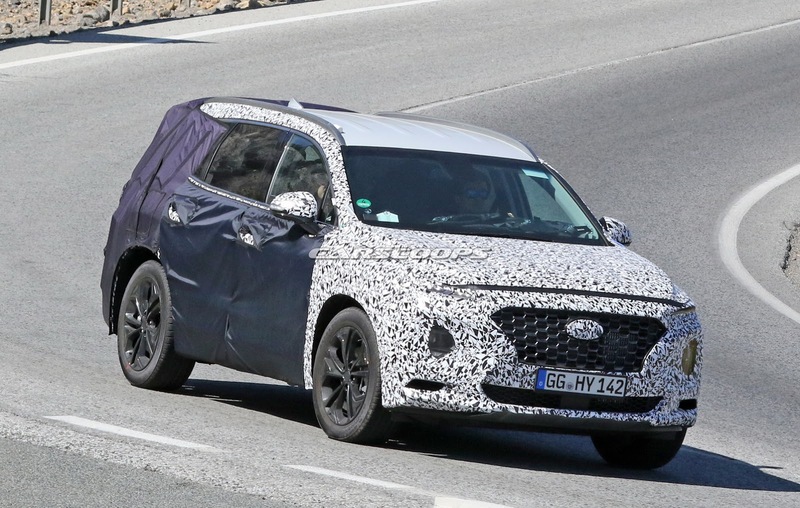 Hyundai just doesn’t learn……Just look at the newly revealed FCEV in all its ugliness. 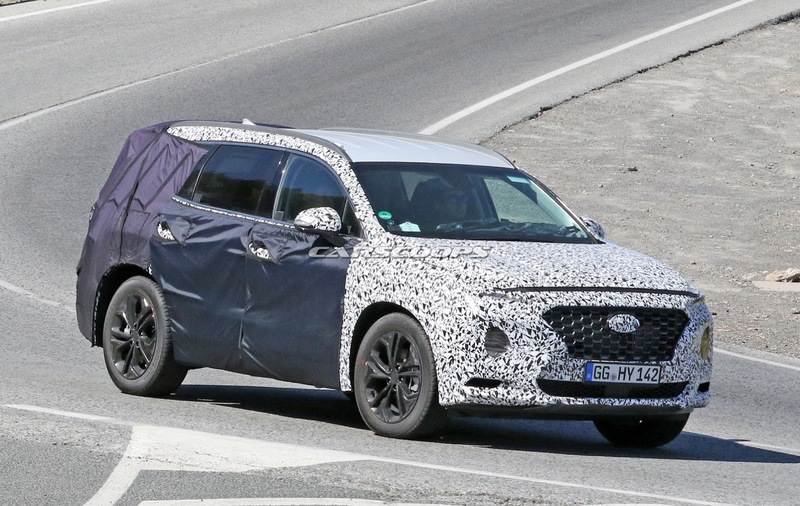 Plus, Hyundai did that shape on a concept years back in 2004 – which btw, is much better done on the Kona than the Cherokee (that’s not the problem with the Kona).